Curcuma longa (tumeric) is in the family Zingiberaceae and the part used is the rhizome. It is spicy, bitter, drying and warm and is an aromatic stimulant. Biochemically it is made up of an essential oil (3-5%), curcumin, turmerones, miscellaneous proteins, sugars, fixed oils and vitamins. The plant is extensively cultivated in China, India, Indonesia, Africa, Thailand and throughout the tropics. Tumeric has been used as a medicine, spice and colouring agent for thousands of years primarily in India and South East Asia. It was listed in the Assyrian herbal dating from about 600BC and both East and West have held it in high esteem, with recent scientific studies having revealed a wide range of pharmacological and clinical activities. It has a unique combination of properties and actions including: anti-inflammatory, antioxidant, anti-platelet, cholagogue, anti-microbial, cholesterol reducing, hepatoprotective and anticancer (topical). As a result of its wide range of important actions it has been promoted as a ‘cure-all’ by non-herbalists. It is being promoted as a daily medicinal food, however this practice is unwarrantedAs with most herbs, the scientific studies that have been undertaken are mostly on humans, however there are several that have been done on dogs, rats, chickens and horses. Perhaps the most common reason that lay people like to use tumeric for horses and dogs, is for its anti-inflammatory properties in musculo-skeletal problems. There has been some research done in this area on dogs and horses. A trial conducted by Thomas Schell (DVM) using a proprietary formula of curcumin (not tumeric), vitamin C & E, demonstrated an improvement in all patients (horses) except for two who had quite severe osteoarthritis. Despite the severity of their clinical condition all horses in the study exhibited reduced levels of the inflammatory mediators MMP-9 and PGE-2 within synovial joint fluid. All patients improved in their attitude and demeanor except horses with chronic lameness attributed to the formation of osteophytes, eroded cartilage surface and soft tissue contracture. It appeared that horses with lower grade osteoarthritis responded better that those with marked degeneration of the joint on radiograph. This was a very small trial and a formula was used as mentioned above, not tumeric powder alone. Tumeric is a selective inhibitor of cyclooxygenase enzymes, unlike NSAID’s such as phenylbutazone that are non-selective. It is the inhibition of COX-1 that can impart potential degradation to the prostaglandin lining of the intestinal tract as well as influencing renal circulation (which may result in gastrointestinal ulceration and renal compromise). The curcumins in tumeric ONLY inhibit COX-2 which result in a reduction in the production of the inflammatory arachidonic acid. Curcumin alone however, has been associated with gastric ulceration in very large dosages (100mg/kg). Ulceration is associated with a marked reduction in mucin secretion. In contrast lower dose of curcumin actually protected against gastric ulceration caused by phenylbutazone. One traditional usage of powdered tumeric itself was for gastric ulceration. It seems by isolating curcumin we are creating potential side effects as is the case with most herbs. The whole herb is much safer. Studies have also shown that the other chemical constituents in tumeric also have anti-inflammatory activity. As an anti-oxidant yes tumeric and also curcumin alone have shown good results as in-vitro inhibitors of lipid peroxidation in brain tissue. However one study revealed that tumeric has a weaker scavenging effect than Vitamin E and Vitamin C.There are many other good herbs that function as anti-oxidants that may be more suitable for a particular individual than tumeric. As an anti-tumour herb tumeric has shown promising results, however most studies have been done in-vitro. It may actually have better application as anti-tumour treatment when used topically. 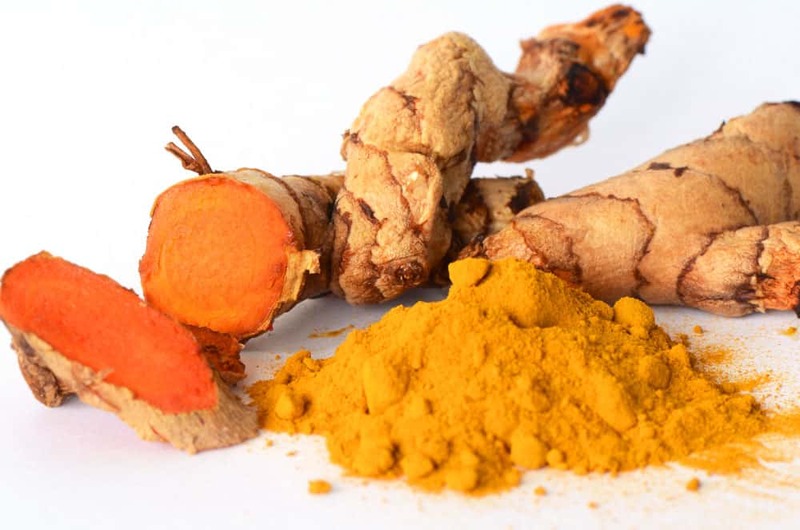 In a human study a 50% ethanolic extract of tumeric and an ointment containing curcumin produced symptomatic relief in patients with external cancerous lesions that had failed to respond to conventional treatments. There was a reduction in odour, itching, exudation and in a small number (10%) the thickness of the lesion was reduced. The treatment of cancer by qualified herbalists and naturopaths is a complex issue and the use of tumeric of alone would be unlikely to help. As a hepatoprotective herb tumeric has some merits however there are many other excellent herbs that also have this action, such as St Marys Thistle and Dandelion Root that we know are successful in treating horses. Laboratory studies did show that tumeric protects the liver against inflammation cause by hepato-toxic agents. It also improves the clearing function of the liver when it has been damaged. Tumeric is also known to increase the secretion of bile from the liver therefore assisting in the total excretion of bile salts, bilirubin and cholesterol from the body. In horses and dogs we are not so concerned with elevated cholesterol levels. This function has more applications for humans. Of interest are the ethnoveterinary uses of tumeric. They include external application for abscesses, ulcers, ticks, castration wounds, bleeding, eye disorders and fungal disease. It is also used to animal patients with diarrhoea and rheumatism; for worms in poultry; for constipation, udder infection, swollen teats and sprains; for cough and colds in ruminants and poultry; and for jaundice and swinepox. Other uses are for loss of appetite, colic, gastrointestinal tract disorders and glossitis. Yet other indications include lumbar and compound fractures, haemorrhage, septicaemia, rinderpest, haematuria and baldness. Looking at all these conditions it would be very very unlikely that tumeric alone would be used and in many situations it may be the only easily available and cost effective herb. On a personal note I have been using tumeric powder (1 heaped tsp) on my 13 year old German Shepherd that has advanced osteoarthritis. I have not seen any real changes however she eats it without a problem (sprinkled on top) and she is a constitutionally cold dog. I have an older mare that is cold and on the sluggish side, and have been using 1 tablespoon twice a day on her with no significant changes. I have since stopped and I am trialling the liquid extract due to quality issues. There are several contraindications and cautions to be taken note of when using tumeric. It should not be used where there is obstruction to the biliary tract or a hypersensitivity to tumeric (allergic contact dermatitis). Tumeric at 10% of the diet caused some hair loss in rats and showed anti-fertility effects at high doses in rats and rabbits. It would be wise not to give to mares and stallions that are used for breeding. Topically tumeric will cause photosensitivity therefore caution is required and the area should be covered. Energetically tumeric is stimulating, drying and heating therefore is contraindicated in individuals with conditions characterised by heat and dryness such as anhydrosis. The practice of adding tumeric to black pepper is fraught with danger as this is also a very stimulating, blood moving herb. Too much spice (such as tumeric and black pepper) can aggravate the liver and encourage cancer and other serious disease to spread. Therefore the use of tumeric in cancer, inflammation or liver diseases is not wise unless a qualified practitioner is consulted. As I mentioned earlier herbs are rarely used alone when treating illness especially those such as cancer. Determining what particular herbs are suitable for cancer or liver problems is truly the art and science of a professional herbalist or naturopath. The practice of using coconut oil with tumeric (which is very popular at present) is based on the premise that curcumins are poorly absorbed (bioavailable). Coconut oil is quite high in omega 9 fats and may upset the omega 3:6:9 ratio if not taken into consideration. Your horse’s diet should have enough fat in it without the use of coconut oil. As for dogs you would be much better to use a teaspoon of lecithin granules to enhance uptake. If you are using tumeric powder it must be kept in a dark place as curcumin readily decomposes on exposure to light. The quality of your powder will be of paramount importance. This has always been a huge issue with the use of dried herbs by the public. 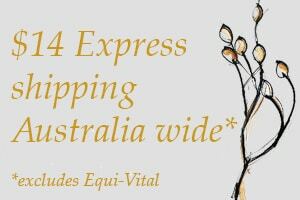 Practitioners prefer to use the liquid extract due to its tested quality provenance. In summary the main usages for tumeric that are supported by human clinical trials are: Rheumatoid arthritis (curcumin), osteoarthritis (in combination); dyspepsia; topical treatment of cancerous lesions (in an uncontrolled trial). Importantly when treating conditions associated with pain, tumeric is NOT an analgesic. Yes it is anti-inflammatory however this action will not necessarily give pain relief. As I have mentioned there are limited equine and canine studies that we can look at therefore we need to extrapolate from human ones and proceed with diligence. A good guide to using herbs for horses may be ask the horse whether or not they like the herb but letting them sniff and lick it first. Horses that are rejecting it in their feed are more than likely telling you that they don’t want or need it. Don’t try to disguise it with honey or molasses. If your animal friend refuses to take tumeric please don’t get distressed – it is unlikely to be the deciding factor on whether he recovers or not. Trust their instinct to know what is best for them individually.